1. Drink a large bottle of water after brushing your teeth. Before you dismiss this as utter madness, just look at Blake Lively’s lusicous mane. The actress has just revealed in an interview with Byrdie that she puts mayonnaise on the bottom half of her hair before showering. This cunning DIY trick means that the mid-lengths and ends are protected when shampooing, so the soap can’t strip all the natural moisture and dry it out. Blake’s mum taught her this trick and it seems to have served her well. Just make sure you rinse thoroughly. Honey (it has to be raw honey, mind you) has antibacterial properties and is very effective at helping acne-prone skin. Slather on your face, leave for 10 minutes, wash off with warm water and the job’s a good’un. Some people complain that the honey draws out the toxins, causing problem skin to get worse before it gets better, but in the long run it’s a good solution. 4. Use baking soda on teeth to make them whiterAre you loathed to splash out on expensive teeth whitening kits? Try mixing one tablespoon of baking soda with three drops of hydrogen peroxide then use it as a toothpaste for a healthy set of pearly whites. Forget spending money on a separate shaving foam, simply use hair conditioner instead. It’s super moisturising, makes the hairs softer and therefore easier to shave. Winning. 4. Use evening primrose oil to help spots heal fasterBurst an evening primrose oil capsule and apply to troublesome spots to help them heal in half the time. It has anti-inflammatory properties, which can really help take the redness out of sore spots. Apply overnight and sleep in it for best results. Petroleum jelly has countless uses. One of our favourite things to do is slather it all over our feet, slip on a pair of fluffy socks and then sleep. If you dye your own hair, it’s great for preventing the dye from staining your skin, just use it as a barrier around the hairline, ears and neck. Finally, it can also be used to tame unruly eyebrows. If dark nail polish has stained your nails, simply rub some lemon peel on the stubborn spot. Soaking the tips of your nails in lemon juice can also make then whiter. The acid and Vitamin C in oranges makes for an excellent exfoliator. If you don’t have time to be concucting fancy homemade potions and lotions, simply cut an orange in half and use on your knees and elbows. If you tend to get bumpy or irritated legs after shaving, do it at the end of your shower when the warm water will have opened up your pores and the hair will be softer. Not all of them, obviously, but nail varnishes, eyebrow & eyeliner pencils and lipsticks can all be kept in the chilled section. 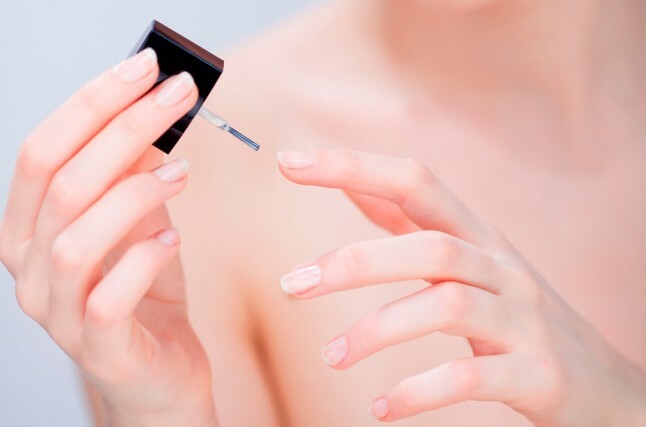 Doing this will make your polishes last longer, as well as causing lip & eye pencils to be firmer and therefore give sharper lines. Add a drop of serum (we love Estée Lauder Advanced Night Repair) to your foundation to give your skin an extra glow. Add just a drop for a plumped up pout. Warning: it may tingle.